The Leica Q is my favorite camera of all time, something you may or may not know. From time-to-time, I make this statement on social media. The Leica Q2 is apparently just around the corner, with an announcement expected in early March. Nokishita has just leaked the first product images of the new camera. 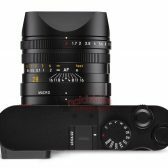 The Leica Q2 will reportedly sport a new 47mp sensor, weather sealing and a 75mm crop mode to go along with the 35mm and 50mm crop modes included in the original Q. Leica will use the same (possibly tweaked) Summilux 28mm f/1.7 ASPH lens. The EVF will also be upgraded. The Leica Q is what comes closest to the original Oskar Barnack concept: compact, lightweight and high quality. Lumix S 1 47MP sensor, first effect of Leica-Panasonic-Sigma synergy! I read somewhere else that the EVF will be OLED, which, if true, will I think be a first for small stills-focused cameras (cinema cameras have them already). I'd expect the same sensor to be on board in Leica M 10 II, Leica SL II, an example of efficient cost-cutting for Leica, but also Panasonic. 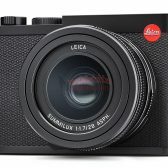 Yet, a price-drop is not to be expected, too sad that Leicas more often than not, end in showcases due to prohibitive pricing. And I won't even speak of their ultra-slow(1-2 month, unless you pay an extra hi-speed charge! ), ultra-expensive , and unsatisfactory service quality. Be interesting to see how the existing lens handles the 47mp and whether the stabilisation is also being enhanced. If I was to ever buy a Leica, this would be it. You should! My son grabbed a Leica Q two years ago or so. It is a nice camera and the IQ is quite pretty. This is great news that will propel the SL2 into production. Hopefully there will be several ergonomic changes to the camera as well. Most interesting will be the EV range of this new chip as compared to the Sony AR7III and others.